Where Will Your Search Take You? 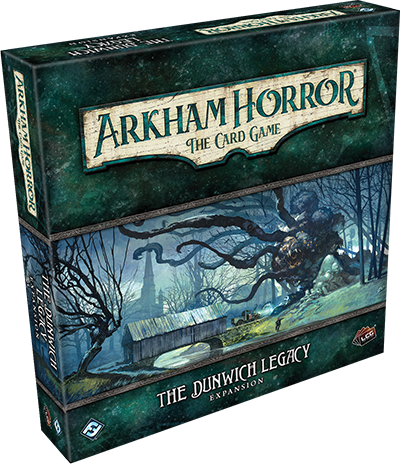 The Dunwich Legacy introduces two new scenarios, Extracurricular Activity and The House Always Wins, that pit you against the forces defined by eleven new encounter sets. 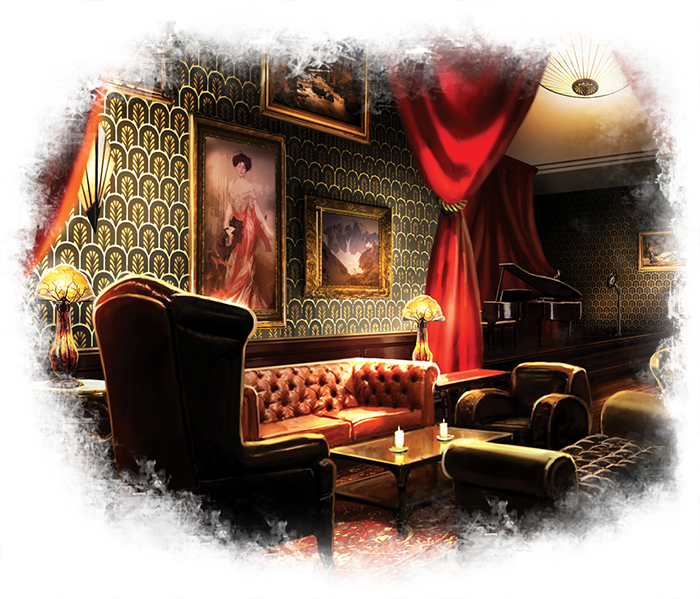 You’ll infiltrate the Clover Club and witness firsthand its shady and sometimes violent transactions. 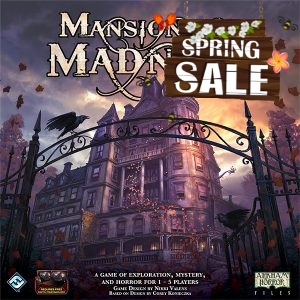 You’ll traverse the halls and greens of Miskatonic University. And if you’re lucky enough—and careful enough—you might just find Dr. Armitage’s missing colleagues and live (with your faculties intact) to tell the tale. However, the details of that tale will depend both on the decisions you’ll make and your willingness to delve deeper into the layers of mystery you encounter… The Dunwich Legacy doesn’t just allow you to explore two new scenarios and their challenges; it serves as the introduction to the whole The Dunwich Legacy campaign, the subsequent chapters of which will be released in an upcoming cycle of Mythos Packs. 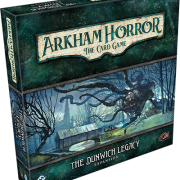 For those investigators willing to pursue the horrifying truth, The Dunwich Legacy campaign offers a thrilling and spiraling descent into mystery and madness. Where will your search for Professors Rice and Morgan take you? What will you learn? 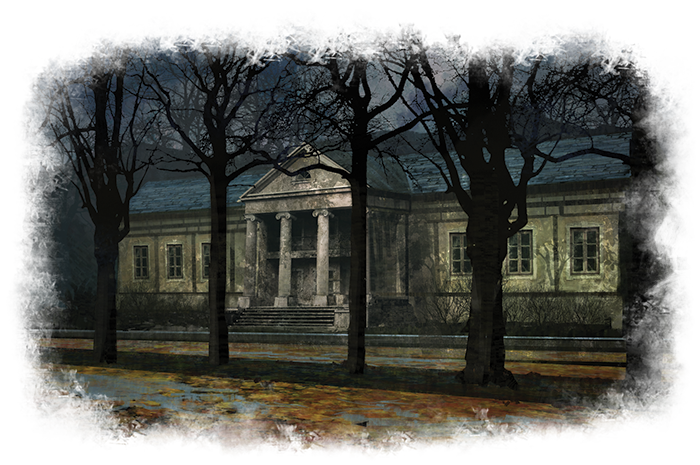 What connections will you uncover between recent events and the rumors that date back to Dr. Armitage’s involvement in the incident at Dunwich? 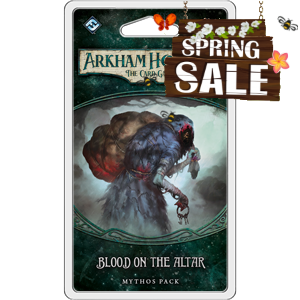 Each of the six Mythos Packs that complete the cycle adds new layers of intrigue and new challenges that you can enjoy either as a standalone adventure or as a part of an eight-act mystery. 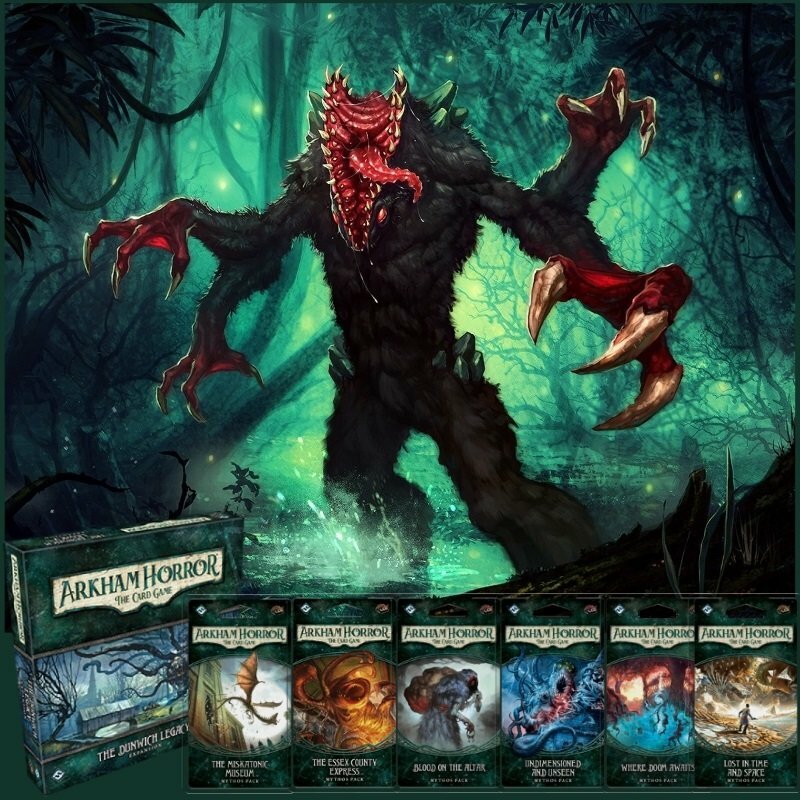 And it all starts with the scenarios and encounter sets from The Dunwich Legacy. If your investigators are driven insane or devoured as you confront the ghouls and cultists in the Core Set scenarios, don’t worry! 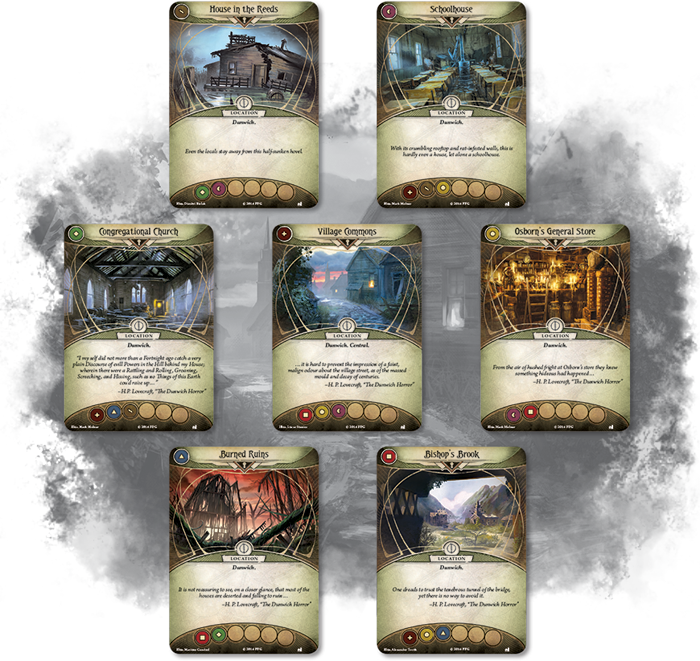 The Dunwich Legacy introduces five new investigators at the outset of its campaign. 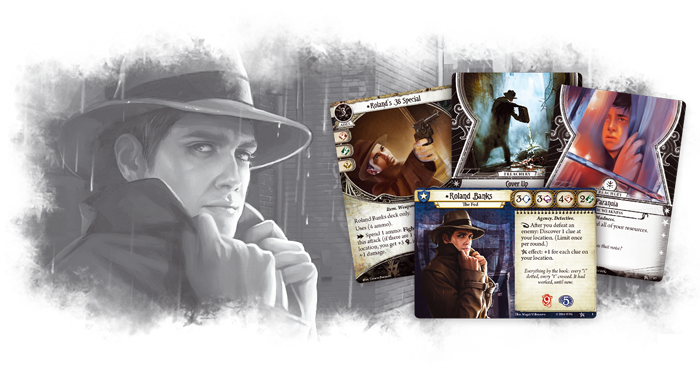 Like the investigators from the Core Set, these new investigators all come with unique assets and weaknesses. 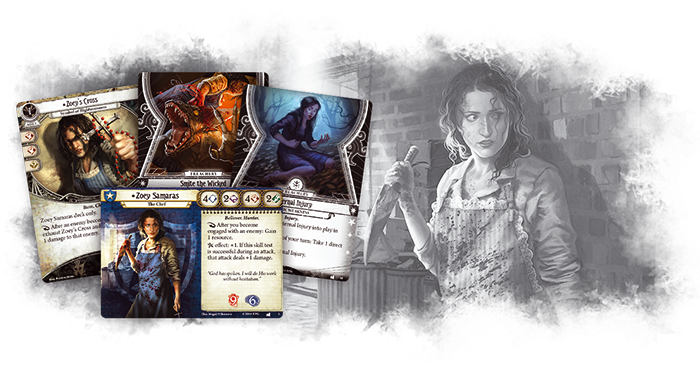 Unlike the Core Set investigators, however, the investigators from The Dunwich Legacy don’t have primary and secondary classes. Where Roland Banks (Core Set, 1) is primarily a Guardian, who can use Guardian cards of levels zero through five, his Seeker tendencies are represented by his ability to utilize Seeker cards of levels zero through two. 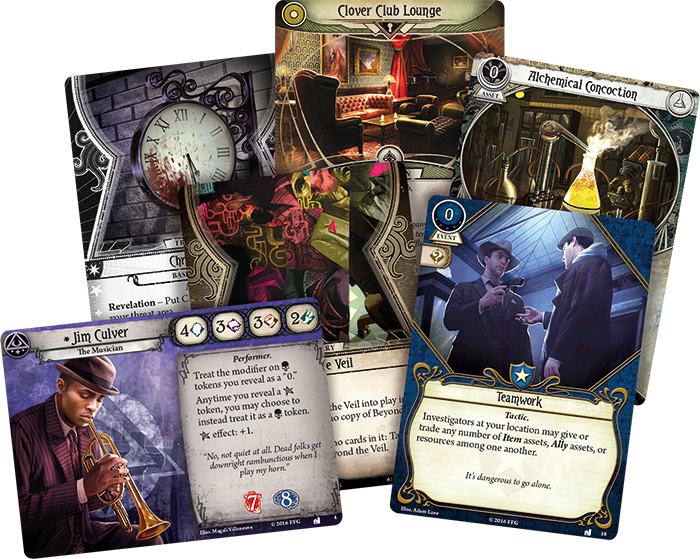 On the other hand, the investigators from The Dunwich Legacy don’t have a secondary class. 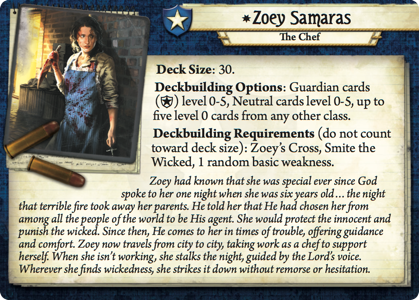 Instead, like Zoey Samaras (The Dunwich Legacy, 1), they have a single class, but can dabble in all the other classes, choosing as many as five level zero cards from classes other than their own. 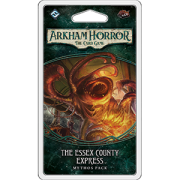 In this way, they may offer you a shortcut to sampling all the new level zero class cards arriving in The Dunwich Legacy, along with a new neutral card and cards with levels higher than zero. For example, you might want to test Zoey Samaras in combat and play Double or Nothing (The Dunwich Legacy, 26) for a shot at extra damage. Or you might want to use the Rite of Seeking (The Dunwich Legacy, 28) so that Zoey can conduct her investigations with magic. The beauty of the matter is that because both of these cards are level zero, you can include one or two copies of each in your deck, albeit at the cost of two to four of your precious cross-class card slots. 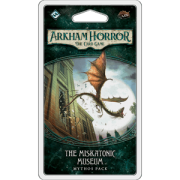 What secrets lie behind the sealed doors of Miskatonic University? Just how sinister are the gangsters that run Arkham’s Clover Club? What do the disappearances of Professors Rice and Morgan have to do with the events of Dunwich, several months back? You are an investigator. Gather your assets, gather your allies, and begin your investigation. Even as your investigation of the town leads you to many of the locations infamously identified in H.P. 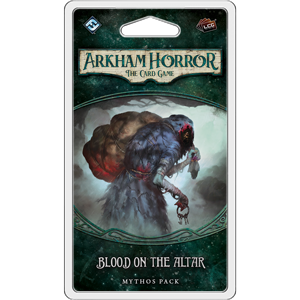 Lovecraft’s classic tale, The Dunwich Horror, the player cards in Blood on the Altar allow you to translate the experience you gained in your previous adventures to Permanent new Talents, several new assets, events, and skill cards, and higher-level, more efficient versions of cards from the Core Set. 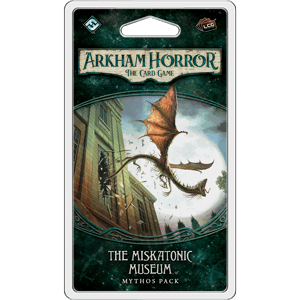 Undimensioned and Unseen, the fourth Mythos Pack in The Dunwich Legacy for Arkham Horror: The Card Game, is now available at retailers—and it has unleashed a brood of horrifying abominations upon the countryside that must be destroyed. Not only must these abominations be annihilated, but it has fallen to you to do so. The citizens of Dunwich will offer you little aid; they are too deep in their panic. They can think of no better response to the unseen creatures that can smash houses as though they were made of paper than to run screaming, praying for safety. The question is: Can you do any better? 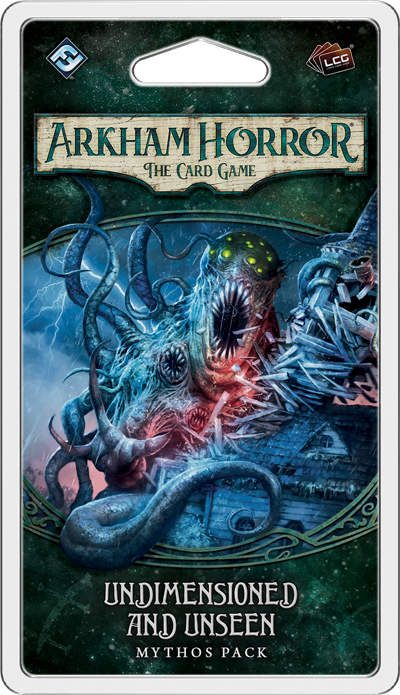 Every scenario in Arkham Horror: The Card Game is a new adventure, steering you in new directions, leading you to new discoveries, and challenging you to survive a terrifying new array of enemies and events. 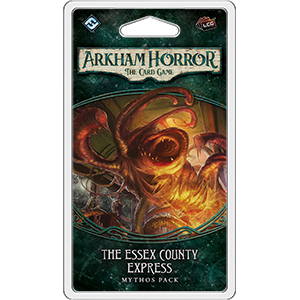 This is the case in the Core Set, as its adventures lead you swiftly out of a ghoul-infested house and into a web of conspiracy spurred by forces far darker and more malevolent than you might have first guessed. It is also the case in The Dunwich Legacy. 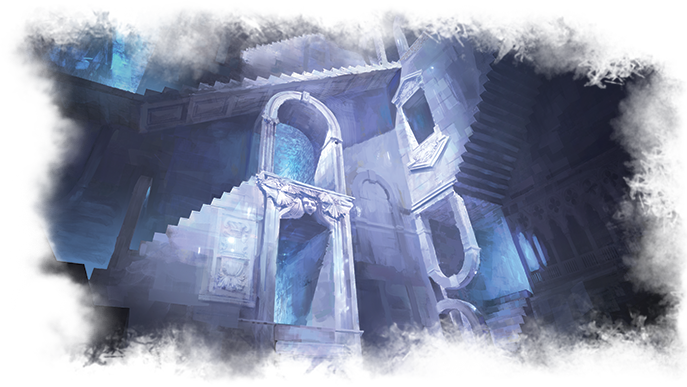 As its Mythos Packs have peeled back layer after layer of mystery, they have also introduced a series of new mechanics, taking advantage of the game’s flexible network of act and agenda decks, encounter deck, and locations. 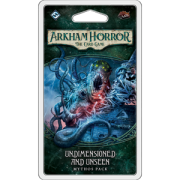 Now Undimensioned and Unseen hits you with yet another new challenge, throwing you into the thick of a physical confrontation with invisible monsters that are wholly impervious to all standard arms and ordnance. It’s a scenario sure to please fans of the Lovecraft mythos. Here, our shotguns are rendered meaningless in the face of enemies that defy human comprehension. Pistols are wholly ineffective. Dynamite is useless. Machetes won’t make a scratch. 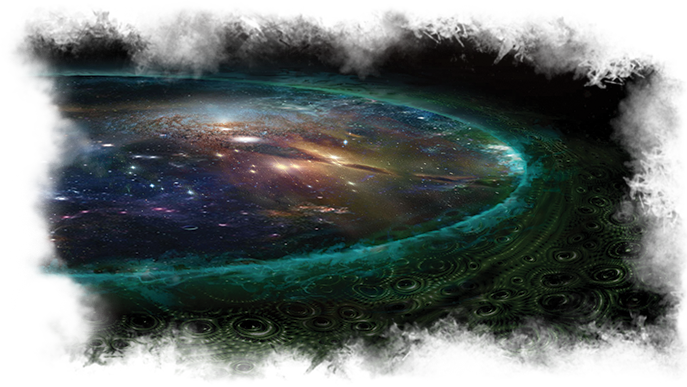 Your only hope for survival lies in your ability to broaden your understanding of the universe. Your whole goal in Undimensioned and Unseen is to find the creatures’ vulnerabilities and exploit them. If you don’t, then you’ll assuredly be driven mad or devoured. If, however, you are able to decipher the strange, Esoteric Formula (Undimensioned and Unseen, 254) that contains the secrets to these creatures’ creation—and the means by which they can be destroyed—you have a fighting chance. It’s that knowledge that can help drive you forward, past the despair, through the madness, and toward the next layer of the mysteries before you. “If it bleeds…” (Undimensioned and Unseen, 225) it can be destroyed. But the more keen-eyed among you may have already noted, your chances improve if you stick together. When you play “If it bleeds…” after destroying a Monster, it’s not just you who recovers horror equal to the monster’s horror value, but every investigator at the same location. Accordingly, you’ll find it particularly helpful to stick together throughout Undimensioned and Unseen, especially once you realize how truly difficult it may be to harm the creatures, even with the Esoteric Formula in hand. Sticking together allows you to contribute icons to your teammates’ skill tests, and this may make it easier to use the Esoteric Formula to take advantage of the creatures’ unusual weaknesses. But even if you don’t have icons to commit to your teammates’ skill tests, your Seeker might still play Expose Weakness (Undimensioned and Unseen, 228) to reduce the difficulty of bashing a monster bloody. How will you respond to the challenges before you? Unseen creatures wreak havoc across the countryside, leaving Ruin and Destruction (Undimensioned and Unseen, 257) in their wake. Working closely with your teammates, you may be able to expose and exploit their weaknesses, but you’ll also be leaving yourselves vulnerable to the Massive abominations and their attacks. Will you panic? Or will you hold fast to your belief that some strange, obtuse parchment may save you when guns, blades, and explosives will not? Is this very belief not a madness of its own? Must you now embrace this madness to defeat another, greater madness? Gather your strength. Take a deep breath. 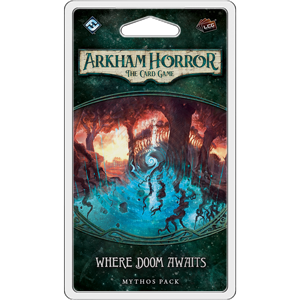 And rush into the madness… Where Doom Awaits is now available at your local retailer! The penultimate chapter in The Dunwich Legacy campaign for Arkham Horror: The Card Game, Where Doom Awaits thrusts you and your fellow investigators headlong into a fractured world—a world come undone, riven by sorcery, and exposed to the alien terrors of other worlds and dimensions. But as much as you’d like simply to flee—to retreat from the terrors before you—you know that if these terrors go unchecked, they will lead to greater calamity. There are sinister forces behind them, evil cultists who have delved too far into dark magic. They have made unholy pacts. They have summoned unnatural powers into the New England countryside. And you must stop them. To stop the sorcerers whose magic has ripped apart your reality, you must first find them. More accurately, you must find your way to the top of the hill where you suspect they’ve congregated. The problem, though, is that the paths to the top of the hill no longer travel exclusively through our world. As the sorcerers foul the world with more of their ritual magic, your path through the wooded hillside carries you to spaces tainted by the other realms. There’s no telling what you’ll find as you travel along these Diverging Paths . Could your next step lead you into a patch of Slaughtered Woods ? Might it lead you into an Eerie Glade or a Frozen Spring ? You just won’t know. So you’ll have to prepare yourself for everything. And as you climb further up the hill, you’ll find the magic—and the changes to your world—growing ever stronger. More harmful. More terrifying. 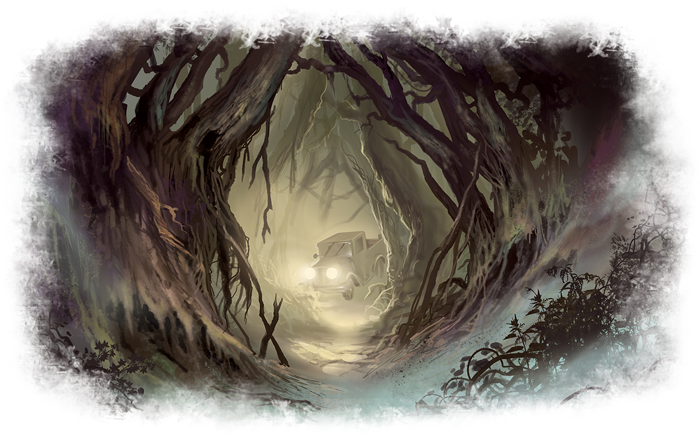 Moreover, the woods are full of terrifying creatures, and the choices you have made earlier in your investigations are bound to come back to haunt you. What evils have you left in the world? What evils have you held close? What evils have you actually managed to destroy? Most of the magic you’ll witness in Where Doom Awaits will terrify you. You’ll find the world ripped asunder. You’ll find sorcerers fueled by unholy strength. And you’ll find time itself distorted and contorted into a living vortex. However, magic is a tool, and even if it is inherently dangerous and corruptible, there are Spells you may use—if you dare—to counter the evils around you. One of these Spells arrives among the player cards in Where Doom Awaits—the zero-cost, zero-level Moonlight Ritual(Where Doom Awaits, 267). 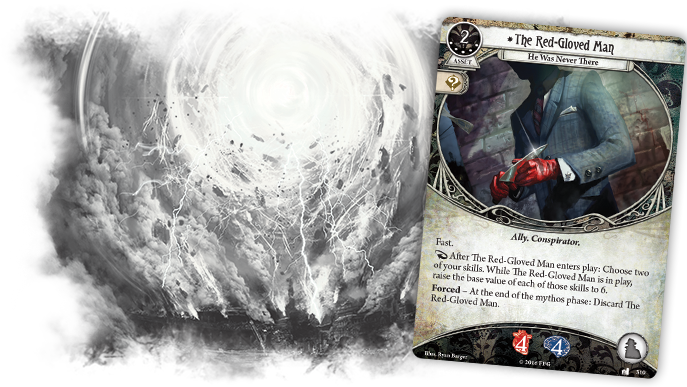 Given that the accumulation of doom progresses the agenda deck and the forces of the mythos, the ability to remove doom from your cards is not to be overlooked. 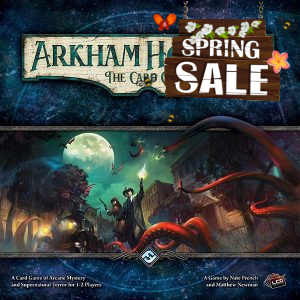 Arkham Horror: The Card Game often spirals toward a desperate end game in which every action matters, and your heart beats in your chest as you hope to gather your final clues before your time runs out. And if just one action could buy you and your team another whole turn? That’s magic! The trick, though, is that there are relatively few player cards—at this time—that collect the sort of doom that Moonlight Ritual allows you to remove. In fact, there are currently only three, and all of them are in the Mystic class. Alyssa Graham (Undimensioned and Unseen, 232) allows you to look at either the top card of an investigator’s deck or the encounter deck. If you place a doom on her, she can even help you avoid a catastrophic treachery or an encounter with some gibbering, amorphous, otherworldly entity. But without Moonlight Ritual, that doom adds up and could even play into your adversaries’ devious schemes. 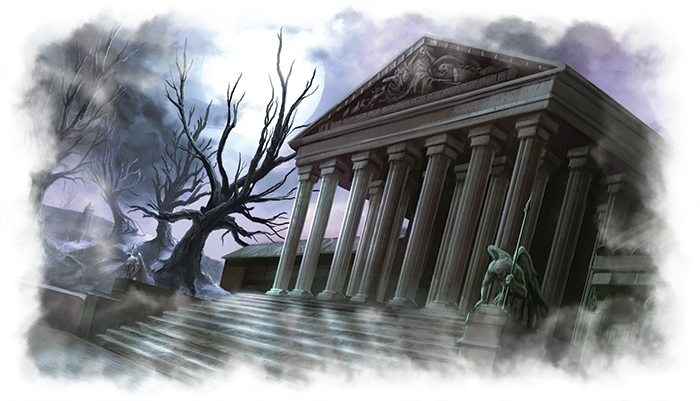 The Arcane Initiate (Core Set, 63) has been around since the game’s release and can help you fetch Spells from your deck, including Moonlight Ritual. This is likely welcome news for the Arcane Initiate, whose role in most investigations was typically limited. She had an unfortunate habit of being devoured or driven insane in battles with the game’s more ferocious enemies—frequently just as the doom she carried was about to spur the agenda deck forward. Finally, the most reliable use of Moonlight Ritual may be in combination with the Permanent Spell Blood Pact (Blood on the Altar, 191). Once you spend the experience—or have the experience—that forms your Blood Pact, the Pact begins each game in play, meaning you can take doom to trigger it whenever you want, gaining either three Willpower or Combat each time you do so. Racing through doom just to defeat a cultist or to retain your wits in the face of some towering aberration may not always be the wisest strategy, but it becomes far less threatening if you have a copy of Moonlight Ritual in hand. 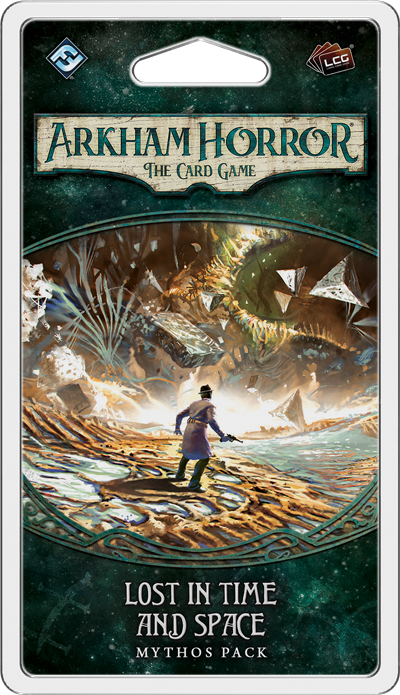 Still, the final point, here, is that not even Alyssa Graham knows that all that’s coming to Arkham Horror: The Card Game, and if doom as a price for powerful player effects is already a strategy in the game—and a thematic one, too, as it ties to the use of Spells and magic—then there’s room for more of it in the future, especially as we know we will someday see the investigator Marie Lambeau released to the wider public, and not just as a promotional card for those who picked up The Investigators of Arkham Horror. Until then, though, we see storms of wild magic raging and swirling around the top of Sentinel Hill. Our doom is coming to us. We can either profit from it… or be driven insane. The air is unnaturally cold, and the winds howl with magic. Who could have predicted all the events that led you here? With every step you take, Arkham feels more and more worlds away. You struggle to hold your sanity as you witness multiple realities converging and ripping apart. And still you know you must press forward. All your choices are coming to a head. As you brace for the coming encounters—whatever lies higher up that hill—you can only hope the choices you’ve made have been the right ones. Because you know whatever else lies up there… that is the place Where Doom Awaits. You’re going to need a bigger gun. 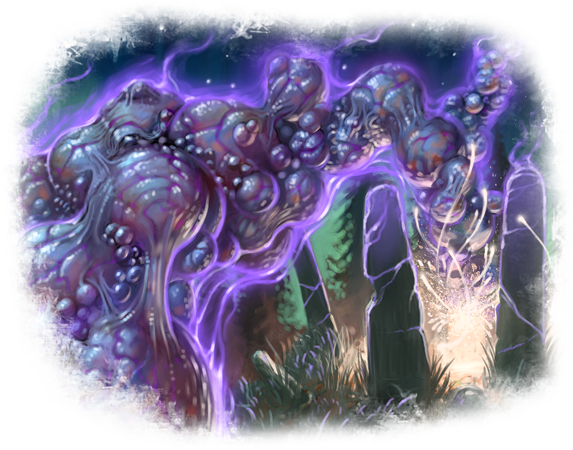 As the conclusion of The Dunwich Legacy cycle, the new scenario from Lost in Time and Space is full to bursting with otherworldly chaos, non-Euclidean geometry, and menacing, extra-dimensional entities possessed of incomprehensible powers. And for those who play it as the capstone of The Dunwich Legacy campaign, the scenario’s also littered with effects that call back to the decisions you’ve made. It is an adventure, a reckoning, and a descent into madness. It may all depend on how you spend the experience you’ve gained over the course of your campaign. Do you shore up your weaknesses? Do you double-down on your strengths? Do you spend your points here and there, dishing out one or two for a series of smaller upgrades? 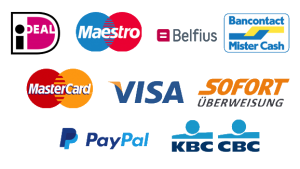 Or do you cash in large chunks of experience for a couple key cards? There’s no telling which strategy may prove best, but if you’ve got the experience, the player cards from Lost in Time and Space will provide you plenty of ways to spend it. 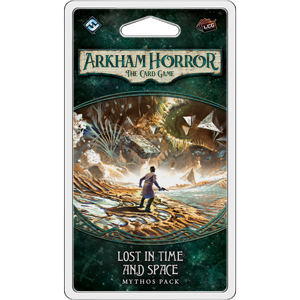 In addition to its scenario, Lost in Time and Space introduces twenty-four player cards (two copies each of twelve different cards), and most of these require some rather heavy experience expenditures. In return, they grant you access to some rather astonishing abilities. Among those, you’ll find the bigger guns you need, as both Lightning Gun (Lost in Time and Space, 301) and Chicago Typewriter (Lost in Time and Space, 304) are two-handed Firearms that cost four or more experience and deal three damage per shot. But while those Weapons are undoubtedly powerful, they’re also relatively straightforward. And there are other cards in Lost in Time and Space that are decidedly not so straightforward. While forces beyond your comprehension are shifting time and space at will, it seems only fair for you to use The Gold Pocket Watch to fight back. Of course, even then, there’s no telling it will be enough. If you hope to survive your journeys through Lost in Time and Space and the end of The Dunwich Legacy cycle, you will need to find the order hidden beneath or amid the chaos. 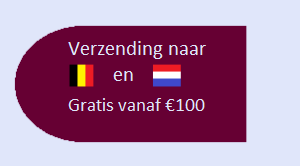 Or you will need to create that order. But in the end, there will be no escaping the chaos. You may survive your adventure. You may return to Arkham. You may even return the professors to their former lives. But your life will never again be the same. You will never unsee the chaos that crawls within the corners of your mind and that eats at you while you sleep. You will never again unfeel the bonds that leave you sensitive to the otherworldly forces that spread their influence into our world. You will never again be one of the blissfully ignorant and uninitiated.